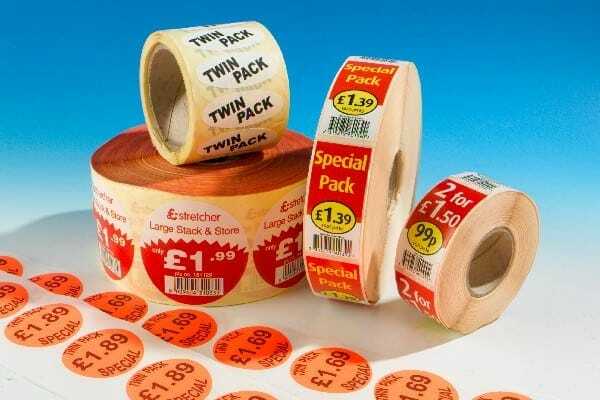 Smart Print & Labels offer a wide range of printed price labels/special offer labels to price and enhance your goods. 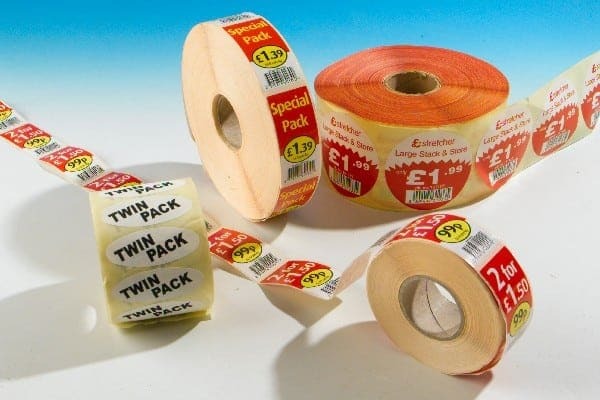 We offer a range of price and special offer labels based on 25mm or 30mm circles with a range of prices some of which are as follows: 69p, 79p, 89p, 99p. £1, £1.49, £1.99, £2.99, £3.99, £5, 2 for £1, and 3 for £1. We offer these printed black on dayglow red, red on white, blue on white. Any other combination can be accommodated please call for a quote. Or email your inquiry to sales@smartlabels.co.uk and we’ll be pleased to offer you a quotation. If you can think of a label… we can produce it… Fast!